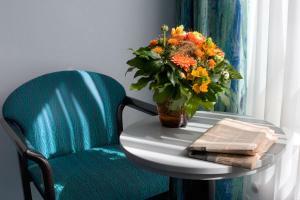 This 3-star hotel is quietly located in Berlin’s Tempelhof district, directly opposite Tempelhof Town Hall. 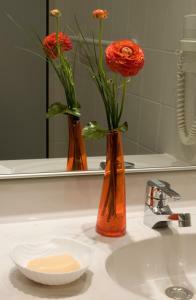 It offers on-site parking and excellent road and underground links to Berlin city centre. 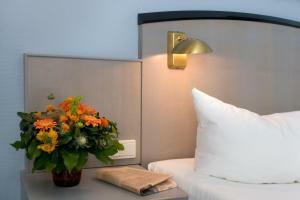 All rooms at the Hotel Alt Tempelhof feature satellite TV, a tea/coffee maker, minibar and private bathroom with shower. Free Wi-Fi is available in some rooms. Guests at the Hotel Alt Tempelhof enjoy free use of a computer terminal in reception. This has free Wi-Fi and a printer. The daily breakfast buffet at the Alt Tempelhof offers hot and cold food. The cosy hotel bar is open every evening. 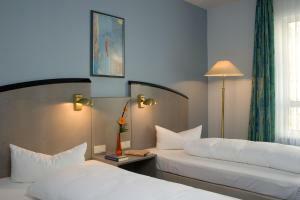 The hotel is 200 metres from Alt-Tempelhof Underground Station. 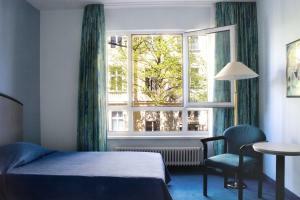 This is a direct 15-minute journey from Friedrichstraße shopping street and the Unter den Linden boulevard. 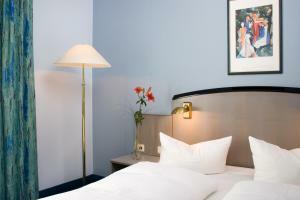 The Hotel Alt-Tempelhof is 1 km from the Tempelhofer Damm exit of the A100 motorway. The room features a TV with satellite channels and an en suite bathroom with a hairdryer. These rooms face the street. This large room overlooks the quiet courtyard. 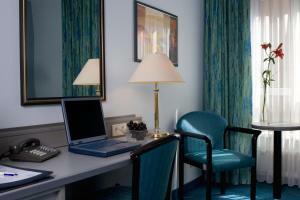 The room features a TV with satellite channels and an en suite bathroom with a hairdryer. 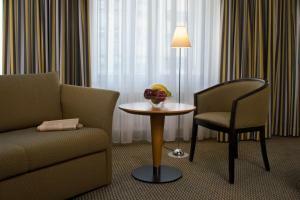 The room features a TV with satellite channels and an en suite bathroom with a hairdryer. 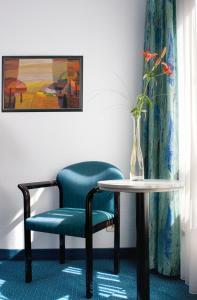 It is located in the quieter rear of the hotel.